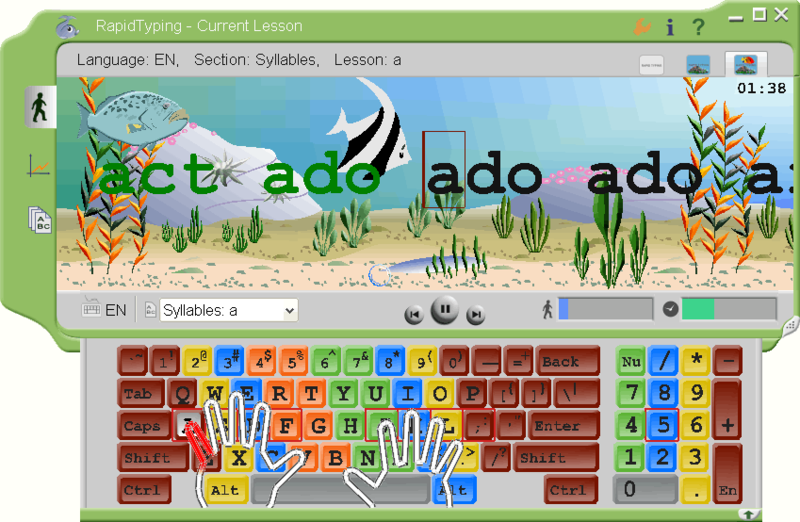 Improve your typing speed and accuracy with a new-generation typing tutor! With Rapid Typing Tutor you will learn using your keyboard more efficiently in just a few easy sessions for absolutely free. The free typing tutor is perfect for adults and kids, students and teachers, and offers comprehensive reporting and progress tracking for every student. Hier gehts weiter zum Rapid Typing Tutor Download. Das Herunterladen der Software Rapid Typing Tutor 3.4 ist kostenlos (ausgenommen natürlich die Kosten für den Internetanschluss und die Internetnutzung). Für die Nutzung der Software gelten jedoch die Lizenzbedingungen des Herstellers/Anbieters.